The Dutch artist Corneille, who created lyrical, expressionist paintings bursting with color and who was one of the founders of the postwar European art movement known as Cobra, died on Sunday in Paris. He was 88 and lived in Paris. His death was announced by the Cobra Museum of Modern Art in the Netherlands. Corneille was best known for radicalizing the conservative Dutch art world in the early 1950s, making modern art not only acceptable, but embraceable as well. He placed familiar subjects — birds, cats, women and landscapes — in mythological and often childlike contexts, imbuing them with spontaneity and bright, sensual reds. “I am a painter of joy,” Corneille remarked at a 2007 exhibition of his work at the Cobra Museum, said Katja Weitering, the artistic director of the museum, in Amstelveen, near Amsterdam. “He was really an artist for all people,” she said. “He was open to the audience; he appeared in documentaries, on television, and frequently visited exhibitions. It’s safe to say we consider him one of the most important modern artists of the postwar.” In the Netherlands, she added, his fame and influence derived from the appeal of Cobra. Born Guillaume Cornelis van Beverloo to Dutch parents on July 3, 1922, in Liège, Belgium, Corneille was influenced by Miró, Picasso and Paul Klee but claimed the most profound connection to van Gogh because of their shared passion for color, form and nature. He is to be buried in a plot near the grave of van Gogh in Auvers-sur-Oise, France, Ms. Weitering said. Corneille founded Cobra in 1948 with five other artists, including his close friends Karel Appel and Constant Nieuwenhuys. The name was an acronym made up of the artists’ home cities — Copenhagen, Brussels and Amsterdam. The artists drew inspiration from surrealism, but believed that style promoted too much discussion and not enough action, Ms. Weitering said. Instead, Corneille and his friends formed a united front in postwar Europe, urging a break from tradition and toward freedom and vitality. In an intense three years, Cobra produced two major international exhibitions and published 10 issues of a magazine for which Corneille wrote poetry. Cobra disbanded in 1951, saying it had achieved its goals, and the artists returned to their individual careers. 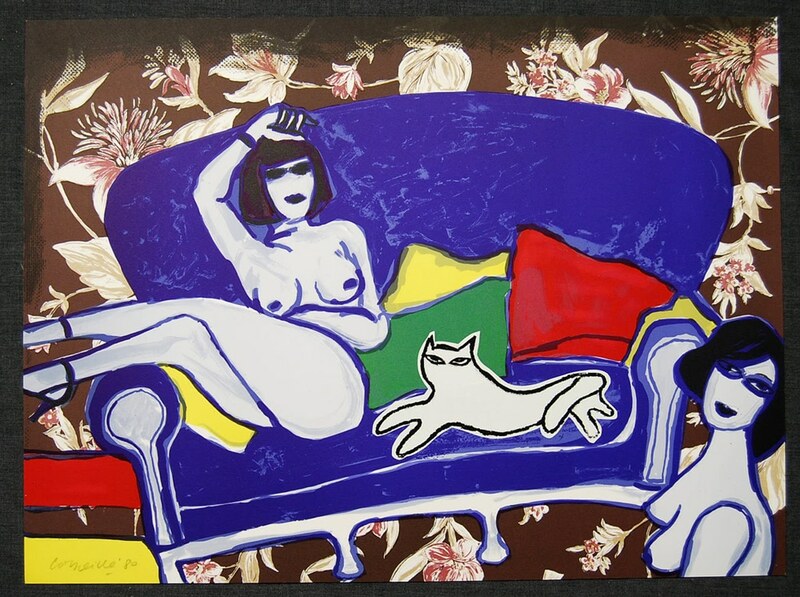 Corneille began his artistic life in 1940, studying at the Academy of Fine Arts in Amsterdam. Though he made his home base in Paris in the early 1950s, he traveled extensively in Africa, Cuba, Brazil, and Mexico. In Africa he became fascinated by the colors, smells and cultures, Ms. Weitering said, collecting brightly painted objects like the masks he later used as themes. He also spent time in Italy, Israel and San Francisco, expanding his repertory to include etching, ceramics and printmaking. Beyond the Netherlands, Corneille’s work is in the collections of several American museums, including the Fine Arts Museums of San Francisco and the Museum of Fine Arts in Boston. He is survived by his wife, Natacha, and their son, Dimitri. Ms. Weitering said she recalled a television interview Corneille did several years ago in the Netherlands, in which he talked about his natural optimism.